On Tuesday night, Kanye West patched an album. That might sound odd, but that’s the best way to describe it. The initial version that West released on Tidal was, to his mind, full of bugs and glitches. And, as though it were a video game or an app or another big software release, he updated the album, patched the bugs, and released a new version on Tidal. In video-game development, these bugs are referred to as “known shippables,” meaning that developers are aware of them, but the defects are not crippling, and they can be fixed after release. Most video games these days are released alongside day-one patches meant to correct problems that weren’t remedied by the time discs started to be manufactured. Developers have come to rely on the day-one patch so much that several high-profile releases, like Battlefield 4 and Assassin’s Creed Unity, have launched with serious glitches, at times unplayable. In updating TLOP, Kanye was addressing the known shippables in his album. “Ima fix wolves,” he tweeted shortly after its release, referring to the album’s final track. And, by all accounts, he did last night, even separating Frank Ocean’s vocals into a new track not included in the original release. He also changed at least one lyric, according to a Reddit thread tracking the changes. Kanye is, if not the first, certainly the highest-profile artist to consider music as a service, rather than a one-off product. Software companies have been moving toward similar models in recent years: Instead of marquee releases, they ship incremental upgrades and feature additions on a more regular basis — small steps instead of one massive leap. Adobe’s creative tools used to cost hundreds of dollars, now they cost a much lower (but never-ending) subscription fee. Microsoft’s latest suite of Office applications offers a similar pricing scheme. Apple’s recent trend of a rebranded, free OS X upgrade every year is high-speed relative to other OS release schedules. That’s what Kanye evidently hopes to achieve with his music: a perpetual motion machine of releasing new material and patching it. He’s announced plans for another two albums this year (one named after the early TurboGrafx-16 game console). Three major feature releases is an outsize output for a musician right now, but not a nimble tech company. It’s in part a business decision — a confluence of trends affecting both the software and tech industries and the music industry. What is true of Adobe Photoshop is true of The Life of Pablo, too: The rise of digital distribution means piracy is all but guaranteed for high-profile one-offs; people are increasingly tied to always-online devices, and much of what they do “on their phones” is really taking place far away, on cloud servers owned by much larger companies; platforms and distribution channels have been consolidated, and developers and musicians can both make use of that consolidation to exert more control over their products. But there are interesting artistic questions that Kanye’s release plans raise, too. Is there version control for art? Not really, but artists have been tweaking their work for decades. There are five different cuts of Blade Runner. The Wikipedia entry for changes George Lucas made to Star Wars runs an obsessive thousands of words long. A new edition of Hillary Clinton’s biography omits certain details. Last fall, the video game Destiny completely cut out all of the voice-acting done by Game of Thrones star Peter Dinklage and replaced it. The website NewsDiffs tracks corrections in the same way GitHub tracks source-code changes. Creative works, as much as we like to think otherwise, rarely have one version. West is clearly aware of how people consume music nowadays. When he initially released the wrong version of “No More Parties in LA” in January, he quickly took it down and asked, “When it’s back up all rippers please rip the new one instead.” Remix culture has exploded thanks to the internet, but it’s less common for an artist to make the changes themselves. Remix culture builds upon, but what Kanye is doing is swapping out. 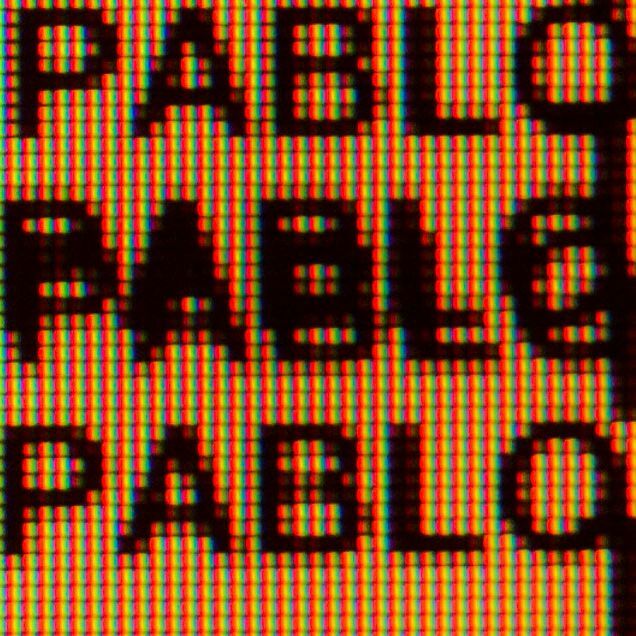 So will “Pablo” ever be done? Perhaps that’s the wrong question. Think of how we understand pop music titans like Dylan or Prince. Over time, more demos and alternate versions and live versions get released — officially or not — and our understanding of their process deepens. There is also an easy and cynical interpretation of this. West has been vocal in his attempts to get people to subscribe to Tidal to hear his album. It is not available anywhere else. If Kanye were to lock in The Life of Pablo, and never update it again, people could get their fill and then drop their subscriptions. But if the work is constantly in flux, people might stick around to see what happens. Can You Treat Art Like an App?